Recent clinical trial results from the Phase 2 SUSTAIN clinical of a drug known as crizanlizumab have provided new optimism for Sickle Cell Disease patients. The trial may present another option for treating people with severe Sickle Cell Disease who have frequent pain crises. Sickle Cell Disease is a blood disorder where the red blood cells (which typically carry oxygen through the body) are misshapen and don’t move well through the smallest blood vessels. One of the worst parts about the disease is the occurrence of sickle cell pain crises, which can lead to severe pain in the back, arms, legs or chest. These episodes can last hours to days and often result in severe pain which can require time spent in the hospital. The drug in the trial acts as an antibody to the surface of blood vessel wall and platelets that stick together, which is part of how the pain crisis happens. Additional studies are needed to assess the agent in younger children with sickle cell disease. “Children younger than 16 years of age also have painful crises but the pathophysiology is the same, so there is no reason in my mind to think it would not work,” Ataga told HemOnc Today. Almost 200 patients with a history of two to 10 Sickle Cell related pain crises in the last 12 months. Patients receiving high-dose crizanlizumab had 1.63 pain crises compared to 2.98 in those that did not. Crizanlizumab was well-tolerated, with a low rate of side effects, particularly acute chest syndrome incidence. Five deaths occurred during the study period but these weren’t considered related with the treatment. 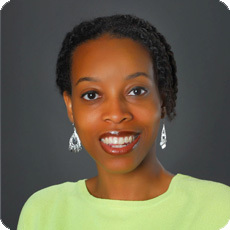 Get To Know Clarissa Johnson, M.D. At the core of Dr. Johnson's passion for medicine and pediatrics is her desire to be an advocate for those who don't have a voice for themselves. Her initial interest was to be a research scientist, but realized face-to-face interaction with patients and their families might make a greater difference in people's lives. This personal commitment is made every day at Cook Children', but has also led Dr. Johnson to medical mission trips to hospitals and clinics in Nigeria, Ethiopia and Eritrea. Click to learn more about Dr. Johnson.